Unique for a Motor Parkway lodge, the porte cochere straddled the road, which became the style of modern-day tollbooths. When the parkway was closed in 1938, the building was purchased by its gatekeeper Eric Ericson. Erickson removed the port cochere and moved the building off the 100 foot right-of-way of the Motor Parkway and approximately 150 feet west of its original location. The Erickson family continued to live in the lodge into the 1960s. The Ronkonkoma Lodge was still standing as a a private home on the Motor Parkway near Woodlawn Avenue. The distinctive frame of the original lodge was easily recognizable. The building design was the same prefab that was used for the Mineola Lodge. The Lodge is in the process of being remodeled and expanded. 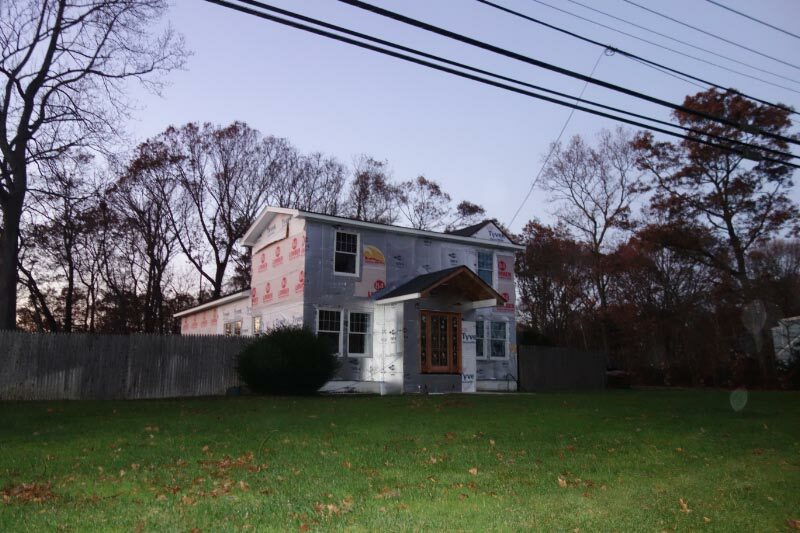 When completed, it will be unrecognizable from its original structure. Another piece of Motor Parkway history is now virtually hidden. When I worked at a building on Motor Parkway, I drove by the lodge/home one day and I couldn’t understand why it didn’t line up with the parkway lane. I thought the parkway turned north but now I know, they moved the home! BTW – I thought you did a great job as a ‘silent extra’ in the MWB America series. Add that one to the amazing list of experiences you have had since bringing the Beast back to America! What a ride! 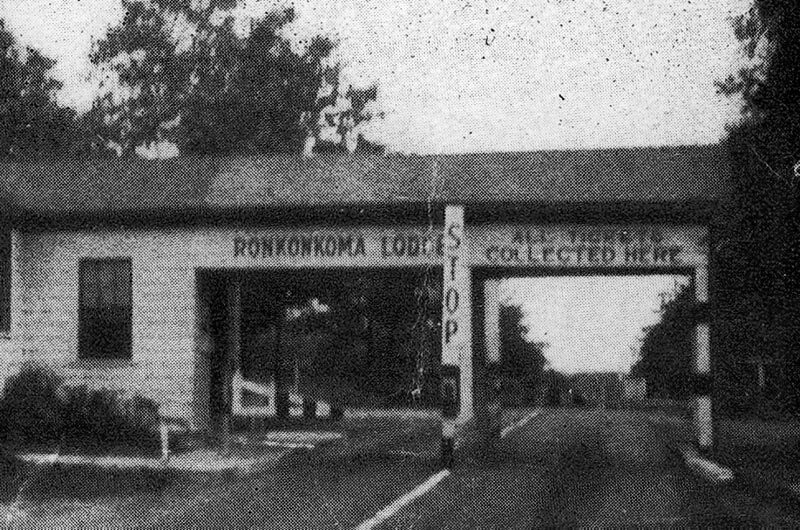 Being a Ronkonkoma native, the information on the toll lodge near Rosevale Avenue was fascinating. Next time I’m on the Island, I look forward to checking out the house. I may not comment on all of the articles you gift us with but I read them all and appreciate the indepth details you provide on these fascinating topics…Thanks ! I agree with Lou K., I don’t always comment but I enjoy all the info and pics you give us. You’re a custodian of history! Lou and Tom, I appreciate the feedback! 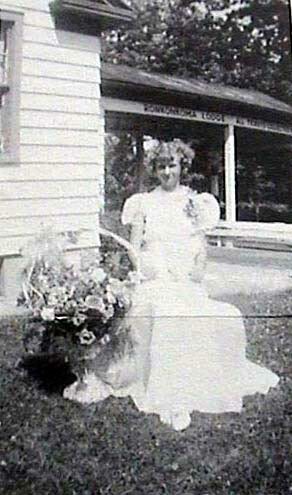 the young lady, Evelyn Ericson, in the picture is my mother. Sadly, she passed away in October 2004. My grandfather was Gustaf Eric Ericson. My mother donated the gates to the Vanderbilt Musuem along with records my grandfather kept of his experiences as gatekeeper. Thank you for this update, although it saddens me to see this small piece of history disappear. Thanks so much for the comment! 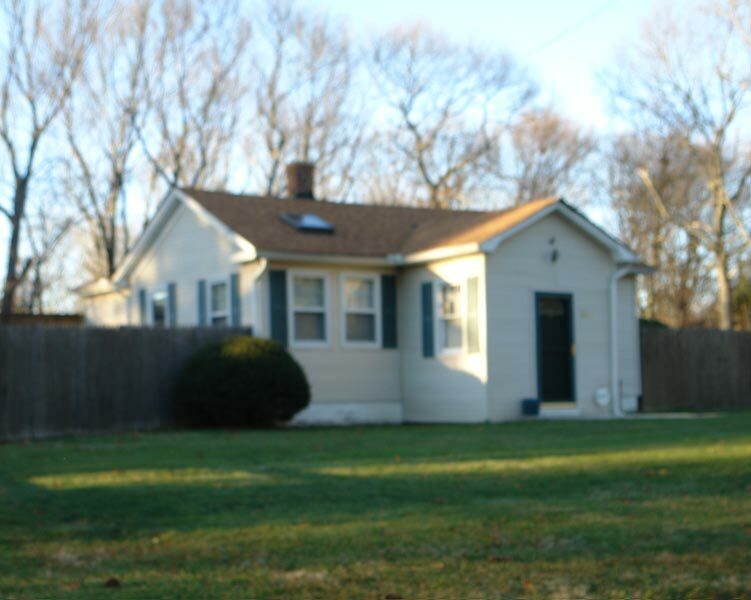 Would you have any additional photos of the Ronkonkoma Lodge? Thank you for these wonderful posts about Motor Parkway. 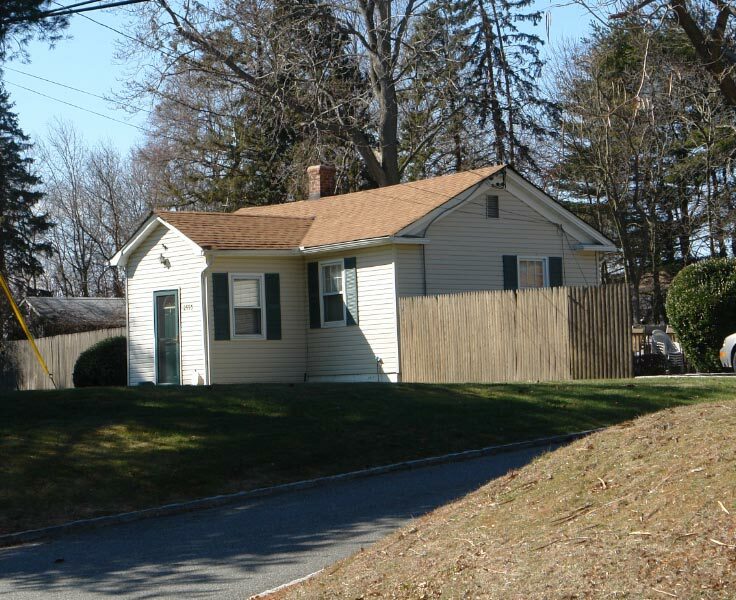 I have lived off Motor Parkway in Ronkonkoma for years and never knew which house was the toll house. Now, thanks to you, I know!